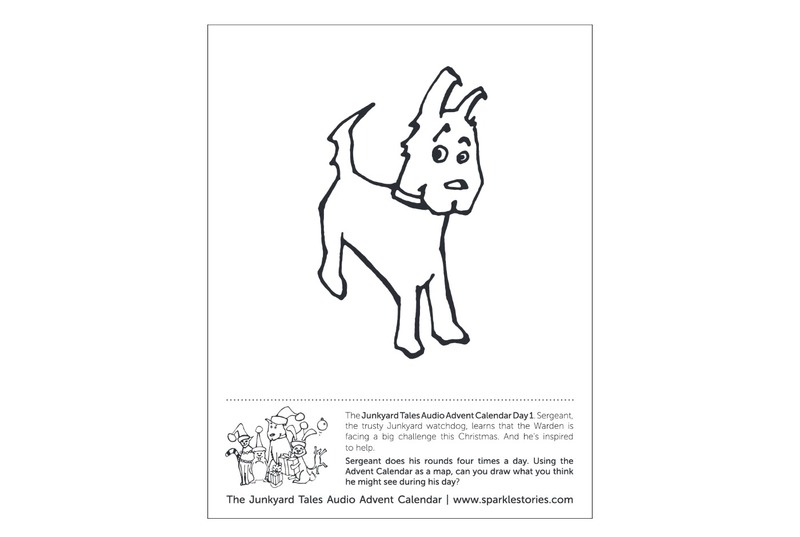 The Junkyard Tales Audio Advent Calendar Day 1. Sergeant, the trusty Junkyard watchdog, learns that the Warden is facing a big challenge this Christmas. And he’s inspired to help. Sergeant does his rounds four times a day. Using the Advent Calendar as a map, can you draw what you think he might see during his day?